Fire safety, indoor and outdoor is something every individual should take seriously. Even a single mistake, no matter how small it may seem, could lead to a serious disaster. Anything which can cause a fire, whether in the house or outdoor is dangerous when mistreated. The situation can be more difficult if you and your family neglect the basic rules which are required to survive in case of a fire. This article offers fire safety tips that can help you survive in case fire erupts when you are in the house or out camping. Fire is hot: The heat and smoke created by fire can be dangerous. Inhaling the hot air can burn your lungs. Fire is dark: Fire that burns in less oxygen can produce gasses which make you drowsy and disoriented. When a lot of carbon monoxide is produced, you can easily get poisoned. Asphyxiation is the primary cause of death by fire, exceeding burns by a ratio of three-to-one. Before an emergency occurs, it is advisable for you to know how to use a fire extinguisher. You can check with the fire departments close to you to ascertain whether they offer training for homeowners. Keep extinguishers within reach or close to the exit of a building. This way, you can fight it while making your way to the door to make an escape in case the flames are out of control. The acronym PASS can be used to help you recall how you are to use the extinguisher. Aim the extinguisher at the base of the flame, but not the flame itself. When doing so, you should be at least six feet away from the fire. 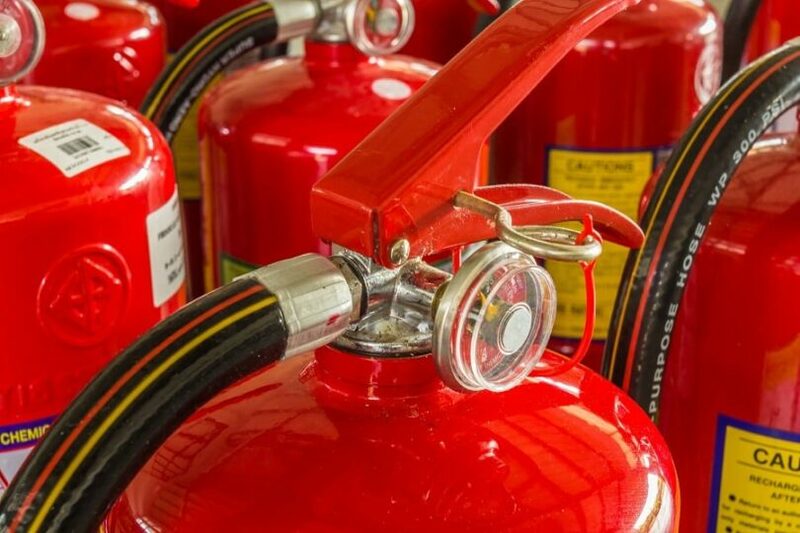 Any time you use an extinguisher, regardless of whether or not the extinguisher is empty, make an effort of replacing or refilling it as soon as possible. The same applies for any extinguisher that has its pressure gauge into the red zone over time. Companies that manufacture extinguishers charge about fifteen dollars to refill a five-pound ABC extinguisher, as long as it contains a metal valve. Devices with plastic valves cannot be refilled and should be discarded once they have been used. There are a number of things you will need to consider if you want to protect yourself, your family as well as property in case of a fire. Make sure you have your smoke alarms installed. 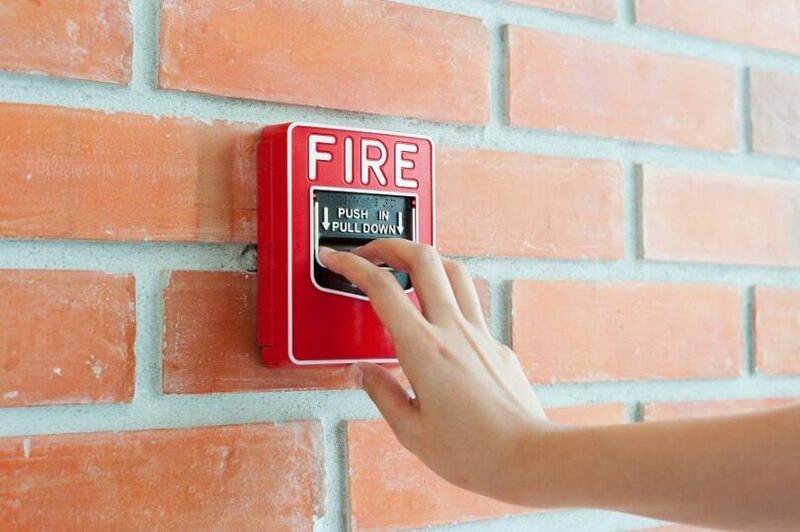 Alarm systems that are working appropriately can reduce the chances of getting trapped in a fire. Ensure the smoke alarms are placed in strategic locations within your residence. This can include the roof and the basement. Test and clean the systems at least once every month and make sure their batteries are in excellent condition. You are required to replace the alarms once every ten years. Always remember to remain flat on the floor, hallways and stairways. Use only the fuel that is designated for the space heater you are using. Unlike most natural calamities, wildfires are as a result of human action and can also be prevented by the same human. 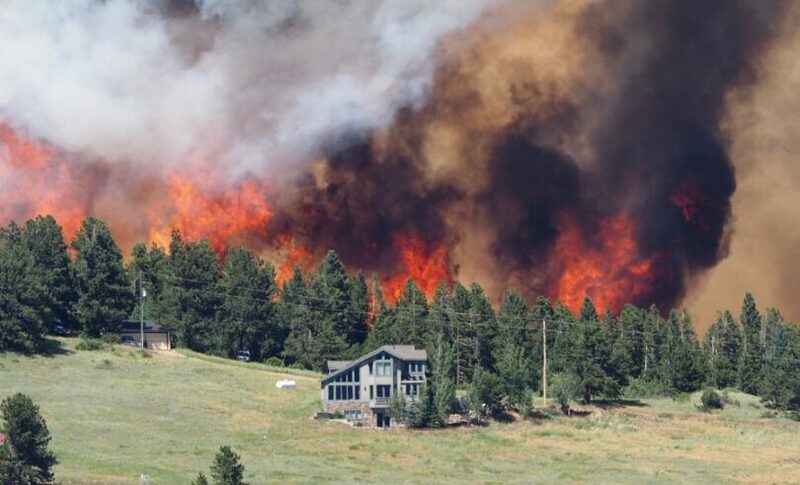 It is a problem for meteorologists to predict the outbreak of wildfires, so people in areas that are prone to fires should make plans and prepare themselves in case they may be required to evacuate without notice. Here are a number of tips you need to consider so as to prevent wildfires and what actions to take in case you happen to be caught in one. Avoid disposing matches, cigarettes, and smoking objects from automobiles, or discarding them on park grounds. Make sure you completely extinguish cigarettes before you can dispose of them. Follow the laid regulation when burning waste. Avoid burning yard waste during windy conditions, and keep water, shovel, and a fire extinguisher nearby to ensure the fire is in check. When burning materials, remove all flammable ones from the yard. Never attempt to outrun the fire. Instead, look for a water mass such as a river, a lake, or pond to crouch in. Campfires are the primary causes of injuries among campers. It is imperative to have an idea of how you are to light your fires when you are out camping to avoid incidents of fire and protect the forest as well. You need to check the weather forecast to ascertain whether there will be wind gusts which encourage wildfires. 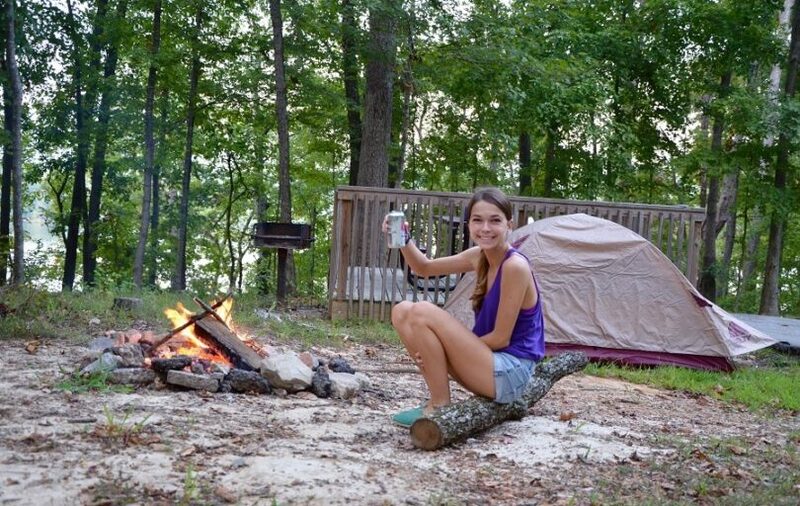 Ideally, the size of your campfire must not exceed a diameter of four feet with a height not exceeding three feet. Moreover, you need to use untreated wood only or charcoal when creating your campfire. 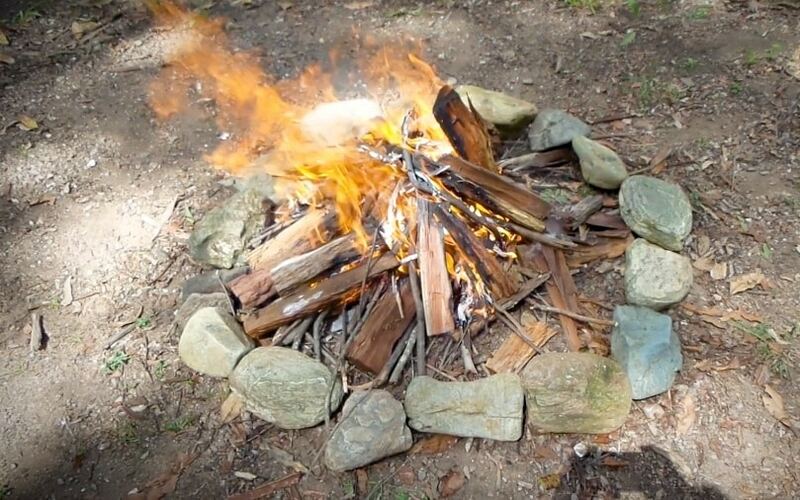 Surround it with large rocks to keep the site safe and add heat to the fire. It is advisable to build a fire far away from tree limbs, shrubs, automobiles, dry grass, and rotten stumps. Also, build your fire away from combustible or flammable objects. Take note of its clearance since the heat from a fire normally extends further than what you see. Therefore, the clearance should be approximately three times the height of your piles. Additionally, you need to make sure that the campfire site is surrounded by gravel or mineral soil that needs to be about ten feet in all directions. Alternatively, you can decide to water down its surroundings so as to prevent the blaze from spraying outwards. Gasoline and other flammable or combustible fluids cannot be used to build a fire as these can easily lead to a damaging fire. When your garment catches fire, drop to the ground and roll over and over until the fire is off completely. In case you get a burn, treat it right away. Use water to cool the burn. Apply medication and cover with a dry, clean cloth. See our reviews of the top Biolite stoves to give you more options on fire and cooking safety. The most important thing when it comes to setting up a campfire is ensuring that it is completely put out. Thousands of acres of forest land and wilderness are destroyed by allowing campfires to go wild. When extinguishing a blaze rather than hot coals or ashes, use a stick to disturb the ash and wood. This will help in extinguishing the fire effectively. Put some water over the coal. If the pieces of wood or charcoal are extremely hot, they can create so much steam that contains ash. To prevent coming into contact with the ash and steam, avoid standing directly over the fire. After the ash and coal have been wetted down, stir everything using a stick. Leave the fire zone for about ten minutes. This is a perfect opportunity to get water. Look for hot spots in the area. You can do this by stretching your hand toward the ash, but be keen not to burn your hand. 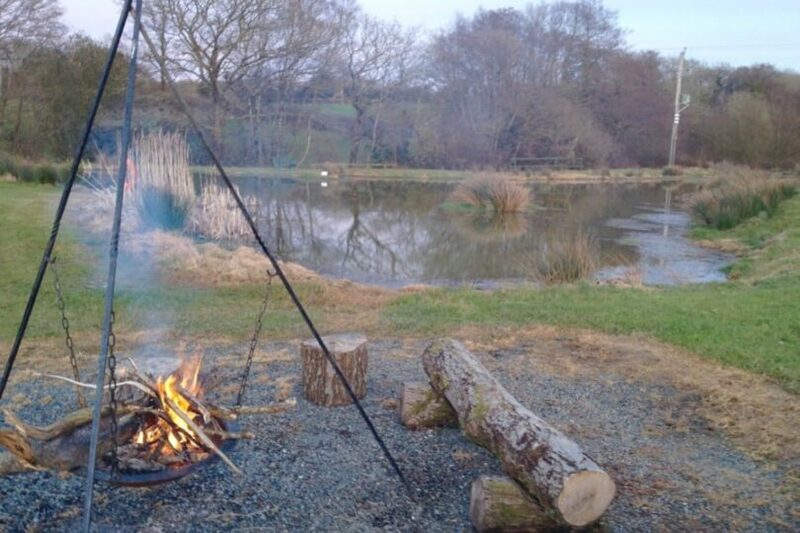 See our informative article on the correct way of building a fire to help prevent accidents in camp. When camping, it is important to be cautious during incidents of fire. Get everyone away from the fire because it is easier for a tent to catch fire and spread. You should also make an effort to alert Fire and Rescue Service immediately and give them a reference map to the location, including landmarks such as hills and farms so they can find you easily. When smoking, ensure you extinguish the fire on your cigarette. Do not throw the end outside the window of your car as this could easily cause a wildfire. Do not leave glasses and bottles in the wilds as these could easily catch fire as a result of the scorching heat from the sun. Take precaution when utilizing gas canisters and ensure they are always upright. Store the canisters in areas that are well-ventilated and confirm whether there are leaks by applying soap in all connection areas. When not in use, make sure they are turned off. When the stove is lit, do not try to remove or install new propane cylinders or installing one close to a flame or a source of ignition. When filling a tank, use a funnel and be careful not to spill the fuel. Do not store an operative stove or a fuel container close to a source of the fire. Operate the stove in an area that is well-ventilated and not a confined place such as a tent. During camping, you need to be aware of carbon monoxide. Do not carry a smoldering barbecue into a tent since its charcoal emits toxic gasses mainly carbon monoxide which is odorless and colorless. This gas can remain in the air even after cooking, so be keen to ensure the gas does not accumulate inside the tent. Make sure you cook in places that are clear from tents. When camping, people tend to use mobile homes, caravans, and boats. These components are prone to fire as they carry with them portable devices and bottled fuels such as kerosene, paraffin, and petroleum gas. These products must not be used indoors or within the tents. Do your research about fire safety in and around a campsite. Avoid using substances that burn with oil such candles and lanterns inside the tents. Avoid smoking inside the tent as this could easily lead to a fire. Set your cooking zone at a reasonable clearance from the tent and use appliances that are not combustible. Remember to keep gas cylinders, matches, and other flammable things out of the reach of children and ensure you always have an escape plan in case of a fire during camping. More importantly, don’t forget to read our article on the top first aid kits to get you ready for any emergencies in camp. Above, you learned some ways to take precautions and prevent a fire inside and outside your home. You also have an idea of how to prevent campfire and wildfire, and how to control them when they occur. The tips above can help you survive fire disasters whenever and wherever you are. For more safety tips when you go camping or backpacking, see our comprehensive piece before you hit the trail. Do you still have any questions you need to be answered? Have you ever experienced a wildfire before? Please let us know by posting in the comment section.